Latter-day Saints believe we have to be baptized by someone holding the authority to baptize, which we call the Priesthood. We believe that authority is conferred only by the laying on of hands from someone who already holds that authority. We believe Christ gave Priesthood authority to the apostles, leaving Peter in charge of the church Christ had organized. The Catholic faith believes Peter continued to pass down that authority in an unbroken succession, and that that authority still resides in the Catholic Church today. Latter-day Saints, on the other hand, believe there was a general apostasy, or falling away, from Christ’s teachings after His death and the death of the apostles. We believe that, similar to past eras, priesthood authority was lost because of the wickedness of the people, and would need to be restored. 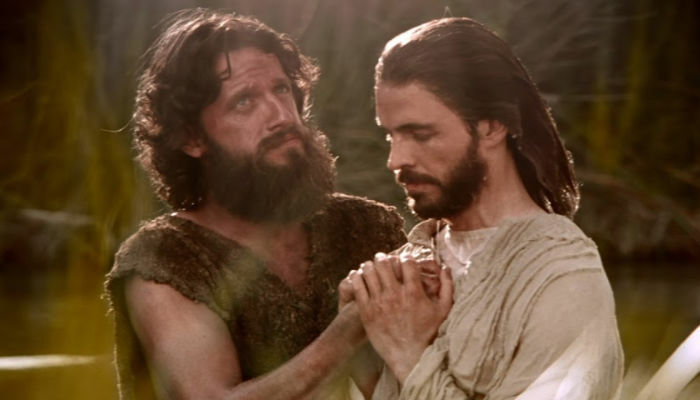 We believe that the resurrected John the Baptist restored that authority to baptize through the laying on of hands to the young prophet Joseph Smith and Oliver Cowdery on May 15, 1829. We believe the gift of the Holy Ghost is something that can also only be given through the laying on of hands by someone holding priesthood authority—*Acts 19:5-6*. While the Holy Ghost can touch anyone, we believe the gift of the Holy Ghost allows Him to be one’s constant companion, so long as the receiver is worthy. So, to wrap things up, we believe the gospel of Jesus Christ can be summarized in the following: Faith in Christ, repentance, baptism, the gift of the Holy Ghost, and enduring faithfully until the end of our lives. We also believe authority is essential for baptism and receiving the gift of the Holy Ghost, also called confirmation. We believe that authority resides within The Church of Jesus Christ of Latter-day Saints. Figuring out whether or not you believe it is between you and God. OR, if you’re just interested in hearing more about what we believe, follow the link in the description for an article on our website that talks more about this topic, there’s also a link for you to live chat with missionaries if you feel so inclined, or you can just keep an eye out for our next video about Article of Faith number 6 coming out soon. A dispensation in the gospel sense is a period of time on earth when people are led by a prophet of God who has authority not only to preach but to perform ordinances that will be binding on earth and in heaven. There have been seven dispensations, and all but one, the first, were restorations of authority after people fell away. The prophets who led those dispensations were Adam, Enoch, Noah, Abraham, Moses, Jesus Christ, Joseph Smith. It may seem jarring to have the name of an American farm boy, Joseph Smith, on that list, but the keys to priesthood authority were given to him by former prophets and apostles who visited him as resurrected beings. Learning about these events shows real order in the way these keys were handed down, such order that no one else claims events like this, and it’s doubtful Joseph could have made up these events, especially since there were always other people present. This is “the last dispensation of time” before the Second Coming of the Savior. It is a time to bring all things together in one, to gather Israel, and to separate the righteous from the wicked. He said this Aaronic Priesthood had not the power of laying on hands for the gift of the Holy Ghost, but that this should be conferred on us hereafter; and he commanded us to go and be baptized, and gave us directions that I should baptize Oliver Cowdery, and that afterwards he should baptize me. The messenger who visited us on this occasion and conferred this Priesthood upon us, said that his name was John, the same that is called John the Baptist in the New Testament, and that he acted under the direction of Peter, James and John, who held the keys of the Priesthood of Melchizedek, which Priesthood, he said, would in due time be conferred on us, and that I should be called the first Elder of the Church, and he (Oliver Cowdery) the second. It was on the fifteenth day of May, 1829, that we were ordained under the hand of this messenger, and baptized. Peter, James, and John later came and bestowed upon them the higher priesthood, the Melchizedek Priesthood. Thus, authority to baptize and to give the Gift of the Holy Ghost was restored by Christ’s original servants and continues today. No other church claims this authority. Later, other keys were given by Moses, Elijah, and Elias, so all the keys of authority now exist in The Church of Jesus Christ of Latter-day Saints. All of the charismatic gifts are evident in the Church (healing, gift of tongues, prophecy, revelation, etc.). The Church continues to be led by prophets and apostles who are directed by revelation from Christ. The basic principles of the gospel, then, when we perform them, bring us into the True and Living Church and put us on the path to return to dwell with our Father in Heaven to become co-heirs with Christ.